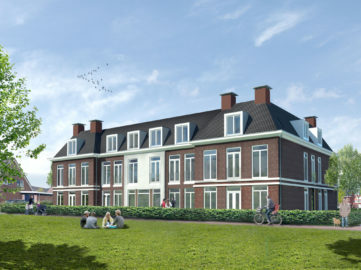 In Vleuten a care home Het Gastenhuis was realised. The new building consists of a two-layer building including twenty living units for people with dementia. The residents each have their own apartment with bathroom. Two apartments are suitable for couples who want to keep living together. There is also a guest room available for visitors. In addition, a shared living room, large living kitchen and a club will be realised. 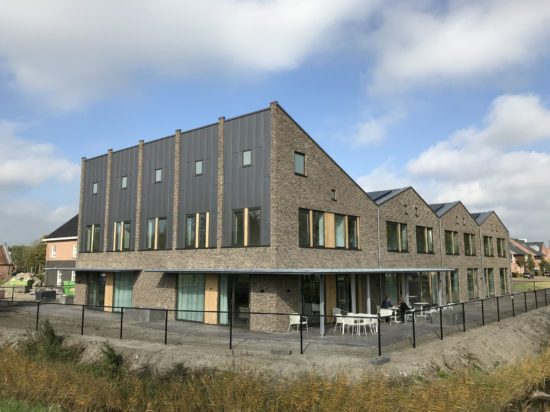 The care home Het Gastenhuis is led by a care couple. For them, a house is built adjacent to the building. 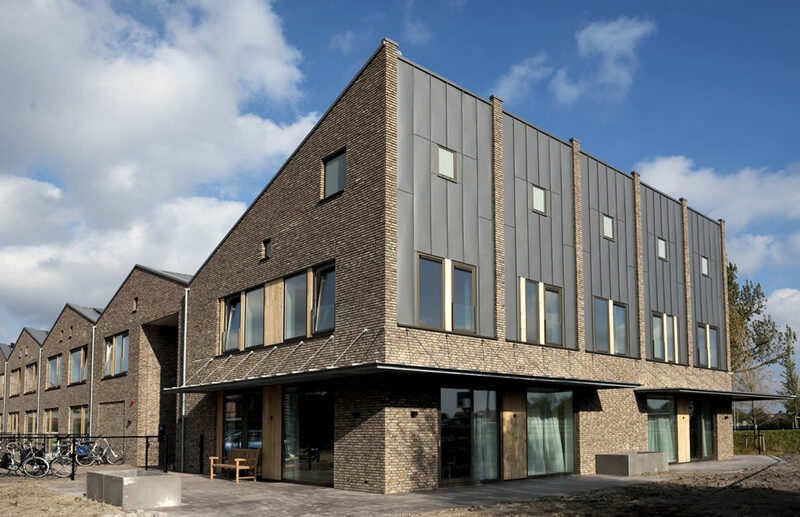 The care homes Het Gastenhuis approach is to provide small-scale care in a domestic environment. The design of the building seamlessly suits this vision. 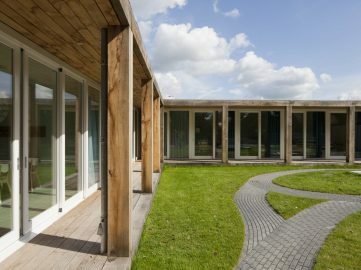 For example, it has the appearance of a house and the terrain is accessible through an open entrance. 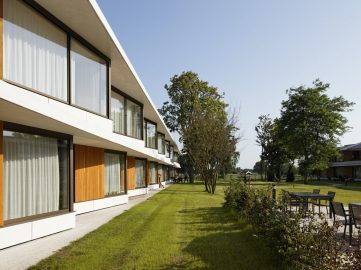 The shared terrace, the club and the living room are situated on the side of the entrance. An overhang is placed over the entire façade of the club living room, so the residents can cool off here during warm days. 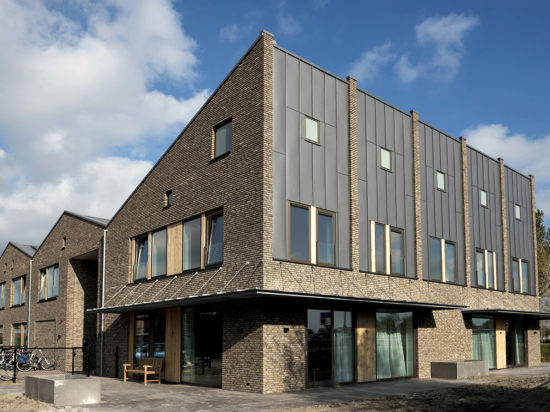 The materials of the building are in line with the built-up, rural environment.